Put your smile in our hands. You deserve a charming smile and sparkling white teeth, and that’s exactly what we offer at Watson Dental Care. We have been in this business for over 35 years so we know what you need. When you visit our office, we will give you a listening ear to eliminate your anxiety. We will also empower you with knowledge surrounding your dental condition so that you can make an informed decision on the best form of treatment for you. With our guidance, we will help you choose the best option at the lowest cost. Why Choose Watson Dental Care? As experienced dentists, we will take perfect care of all members of your family by providing a relaxing, enjoyable and fun environment for our patients in our office because we want to feel loved when you visit. Watson Dental Care are dedicated to providing you with the highest quality dental treatment in a personalized and caring environment using the latest advanced technology in dental care. When you visit us, a thorough examination of your teeth is carried out to detect any dental problem that you might have. This will not only save your teeth but also your money and time. Watson Dental Care are known to provide the best services in cosmetic dentistry, dental implants, dentures, family dentistry, restorative dentistry, dental exams, invisible braces, periodontal treatment, six months smiles, etc in Orlando. All these services offered at one place ensure that you and your family members are properly taken care of. No matter what type of treatment you may need, we have a firm understanding that the better the care you receive, the more lasting the results will be. 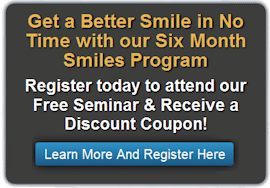 Do you have missing teeth or damaged teeth in your mouth? Missing or damaged teeth are great source of embarrassment as their may make you feel shy and have low self-esteem. You can visit us for dental crowns and dental bridges to cover your damaged teeth or fix the gaps of missing teeth respectively. Dental crowns will improve the appearance of your teeth and also strengthen them. Even if the entire oral cavity is affected, the entire shape and alignment of your smile can be restored. Bridges on the other hand are like implants that are used to replace the missing teeth. They use the healthiest part of the crown and partial dentures to develop a bridge over your teeth.